Not Just a Fly Over State T-shirts! In celebration of Chapter 1 having exhibited at Pachamamas and for being chosen to exhibit at the opening of the brand new Lawrence Public Library, I've launched a teespring campaign. 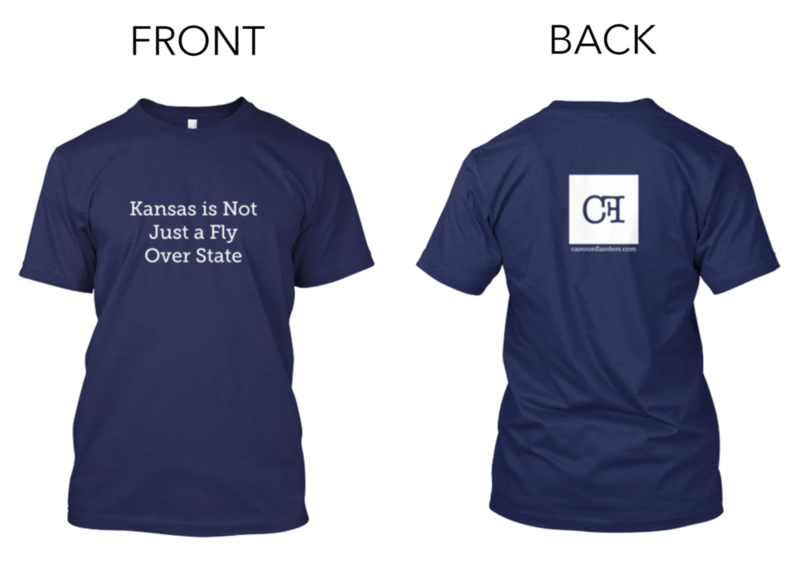 It's a shirt to help represent the state of Kansas and, shamelessly, help market CAMRONFLANDERS! Available in Canvas brand premium triblend cotton unisex navy, red and green with women's Bella Missy premium v-neck shirts in navy and red and a cotton hoodie in steel grey!